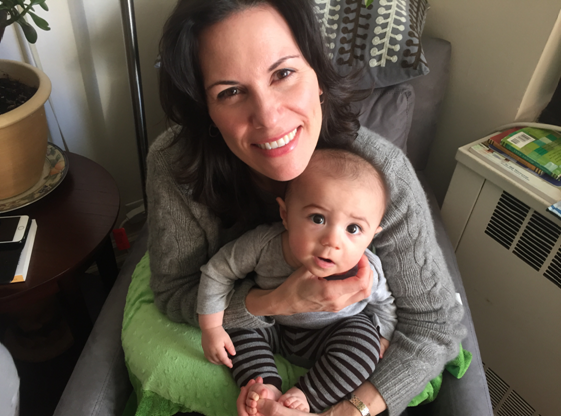 A weekly mommy sangha meet-up online led by Jenna Hollenstein – motherhood and meditation in this supportive sangha group. Are you a mom (or stepmother or grandmother) who longs to practice meditation but can’t find time amidst the demands–and joys and difficulties–of caring for young children? Parenting, no matter how desired (and enjoyed), may come with fatigue, self-doubt, and the natural question: who the hell am I now? Meditation can help by offering space to breathe. Sangha (Sanskrit for community) helps by assuring you that you are most definitely not alone. Together, meditation and Sangha can help you to remain present during the long days and short years of caring for your little ones. Whether you have a meditation practice (or used to have one) or are a brand new beginner, you are warmly invited to join the Mommy Sangha. During this weekly 30-minute gathering, you will be guided in a short meditation practice followed by a chance to connect with other mothers. We will also meet quarterly for a longer practice session and a special talk on how to apply Buddhist mindfulness principles to motherhood. The Mommy Sangha will exist as a continuous presence for you to participate in as you are interested and able. And, while we will be emphasizing the experiences of caring for younger children, all mothers are welcome. Where: In the comfort of your own home via the Zoom meeting platform. Each session will be recorded so you can practice with the Mommy Sangha even if you can’t attend the live gathering. New mom, mindfulness teacher, and Founder and Nutrition Therapist at Eat to Love, Jenna aims to bring the gentle sanity of Buddhist principles to every aspect of her personal and professional life. She is excited to support Mommy Sangha members to create and sustain a meditation practice that creates awareness, lovingkindness, and self-compassion. Her greatest teachers include Susan, her partner Andrea, and her son Mimmo. Created by meditation teacher and writer Susan Piver, the OHP is an online meditation center. It shares all the qualities of a traditional dharma center: A shared practice. Workshops. Advanced courses. Retreats. Guest teachers. Community gatherings—all online and available to you 24/7. Currently, there are close to 15000 members all over the world who are practicing meditation to recover a sense of balance, cultivate fearlessness, sharpen our minds, and soften our hearts. While each may practice alone, we also practice together to create a network of sanity and kindness. More information about the Open Heart Project can be found here. Once you register, your account will be charged automatically every 30 days, unless or until you cancel. Susan is a NY Times best-selling author, Buddhist teacher, keynote speaker, and founder of the Open Heart Project, the largest virtual mindfulness community in the world.